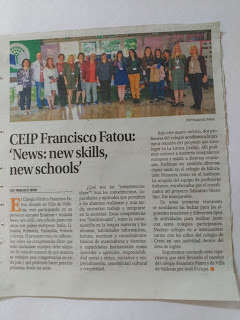 NewS - New Skills New Schools: We are in the news!!! The local newspaper Vallecas Va! 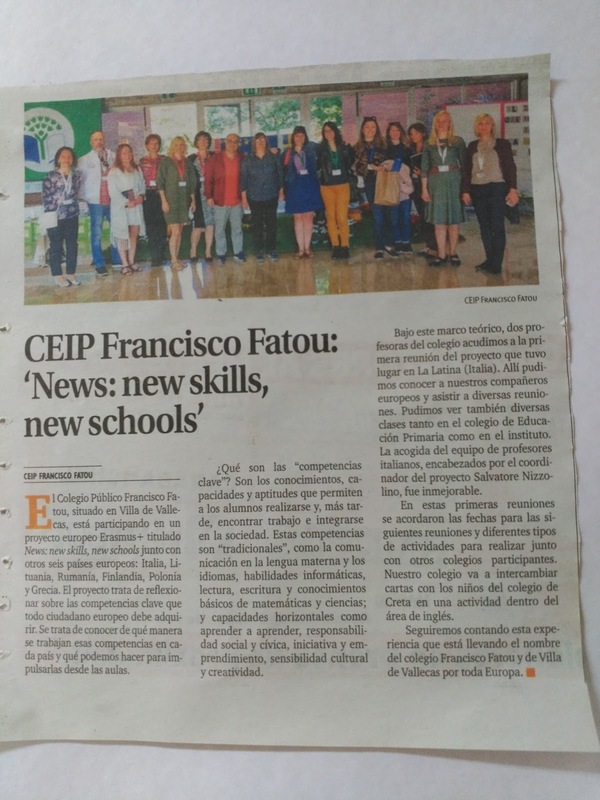 has written an article about the international Erasmus + project "New Skills, new schools" in which our school, CEIP Francisco Fatou, is part of it and our first transnational meeting in Latina last October.